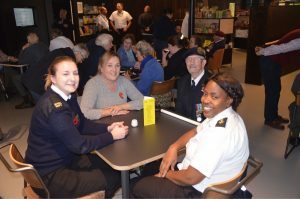 Four veterans were hosted by the 1710 Naval Air Squadron at the D Day Museum on Wednesday 7th November. 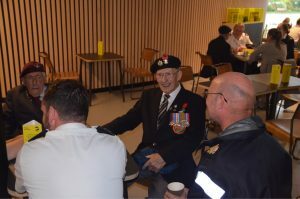 Each veteran spent time going around the museum with a group of personnel from the Squadron sharing their stories and experiences of the Normandy Campaign. They then spent time in the coffee shop chatting with their hosts. 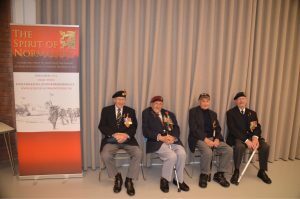 The group then moved to a conference room where our Chairman, Richard Paulinski, presented the facts about the Spirit of Normandy Trust, our aims and how we seek to support veterans and perpetuate the memory of Normandy. Veterans attending were Bob Gale, Arthur Bailey, Wally Beall and Allan Gullis.